Pioneers in the industry, we offer rubber mats from India. 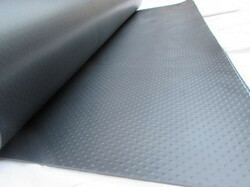 We are a leading name in manufacturing and trading of Rubber Mats. We use advanced technology for the processing and recruited the best team for the execution of our whole process.Our range of products is widely accepted to meet the varied industrial requirements in different fields.